Together we will make your real estate dream come true! Ellen has closed 150+ transactions in the last 12 years! Her list to sale price is 96% and her market time averages 34 days. In Her Own Words..."I strive to provide the best service possible to my Buying and Selling Partners. Yes, that's right, I said partners. In every transaction a partnership is formed and in order for the buying or selling process to be completed, my clients and I have to feel comfortable with each other and the committment we make to see each other through to the end. This is such an important part of a successful real estate experience...if we don't click then we move on, but it is hard to find someone I don't get along with. I also limit the number of buying and selling clients that I work with at any given time...this assures that every client gets all the attentention needed to manage a well organized, successful transaction." Ellen Baren joined @properties after a successful 23 year career in Arts Administration at The Second City Theater in Chicago. In addition, Ellen has done prairie restoration work and volunteer coordination for the Nature Boardwalk at the Lincoln Park Zoo and was a consultant to the Glenwood Avenue Arts Festival in Rogers Park, managing the volunteers and acting as laision for the 100 visual artists over the weekend. As a graduate of The School of the Art Institute of Chicago, she has a solid back ground in working both independently and in collaboration to get the job done...outstanding traits to have in your Real Estate consultant! 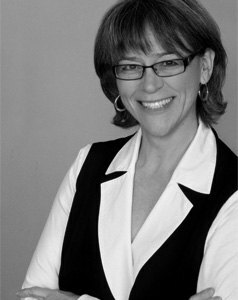 A lifelong resident of Chicago, Ellen's knowledge of the history and market along the lake front and surrounding neighborhoods is unique. Old Town, Lincoln Park and the Gold Coast were her communities for many years and more recently she has resided in Lake View, Edgewater Glen and Rogers Park. Her children have been fortunate to get an outstanding Chicago Public School education at Frederick Stock Elementary School for students with disabilities in Edison Park, The AN Pritzker School Gifted Program in Wicker Park, Hawthorne Scholastic Academy in Lakeview, Whitney Young Magnet High School in the near West Side, Lincoln Park High School Double Honors Program and Senn Arts High School in Edgewater. Ask her about the Chicago Public Schools and all the great opportunities! If you are interested in buying or selling in Chicago or the Northern Suburbs, you can expect a solid knowledge base of neighborhoods, homes, schools, entertainment, the arts and transactions. Home Sellers can expect to benefit from an aggressive marketing plan for the sale of their property giving the best exposure possible, as well as outstanding personal service and consultation. Her extensive market, short sale and transaction knowledge and aggressive representation during the negotiating have resulted in her last 4 property listings selling in less than 10 days! Home Buyers can expect to receive the benefit of market knowledge, how to craft an offer that will get the sellers attention and put you, the buyer in the best position possible to buy your next property, plus attentive, knowledgeable transaction guidance. Experienced in short sales, estate sales and conventional sales of residential and commercial properties. Refer me to your family & friends...they'll be glad you did! Jason Rasmussen: Ellen is stellar. She maintains a vast array of personal relationships that allow for organic and effective advertising. She sold our place in weeks...in the dead of winter! She was also a clear, concise communicator who made the process easy. Rose Wykhuis: I received the finest Service from my broker. She is extremey knowledgeable and goes out of her way to impart that knowledge. I have never felt so secure and trusting of another broker. She always has your back. Jules Murray: Ellen was absolutely outstanding every step of the way. She was extremely knowledgeable, very professional, and was still able to show empathy during the course of the sales process. This is a very tough real estate environment we're in right now, and never once did I feel she was working in anyone's interest but mine. I cannot say enough good things about Ellen Baren. All my remarks are merely understatements. Deb Klecha and Shelly Bender: Ellen worked tirelessly on our behalf to make sure the deal went through. Her encouragement and calm were instrumental in getting us to closing. Kristen Abhalter: Ellen is very responsive, organized and worked with tenacity for my best interests. Inke & Sebastian Stern: Thanks Ellen for your great support. After we relocated to Europe we really needed a trustworthy person to handle our sale. And you did everything to make us feel comfortable with our decision, thanks again for your professionalism and all your hard work. John and Sylvia Bradshaw: Ellen provided excellent communication and follow- up with all parties involved in our purchase. As first-time home buyers we felt that we had good representation. We had a clear understanding of the process and responsibilities of all parties. With that, we were well prepared for what was next so that we were not the delay. We highly recommend Ellen to anyone who wants a professional handling their transaction. Thanks! Sue Stupay and Marty Pick: Ellen was always there when we needed her. She brought a wealth of skills into how to best show an apartment. She always gave us the time we needed, and was the consummate professional.